During his address, he condemned the recent murders in Paris and called for calm reflection at a time of heightened tensions. He also drew comparisons between how some might perceive the wider Muslim community on Ireland to the way the Irish in Britain were perceived in the 1970s and 80s during the IRA’s bombing campaign. DUBLIN ZOO have announced the birth of its second bull calf this year. And here he is. Following on from the last one born just six weeks ago, this little blighter weighed in at 70kg and has since grown to nearly a metre in height. He was born after a staggering 22-month gestation period and will feed from his mother for a further FIVE years. 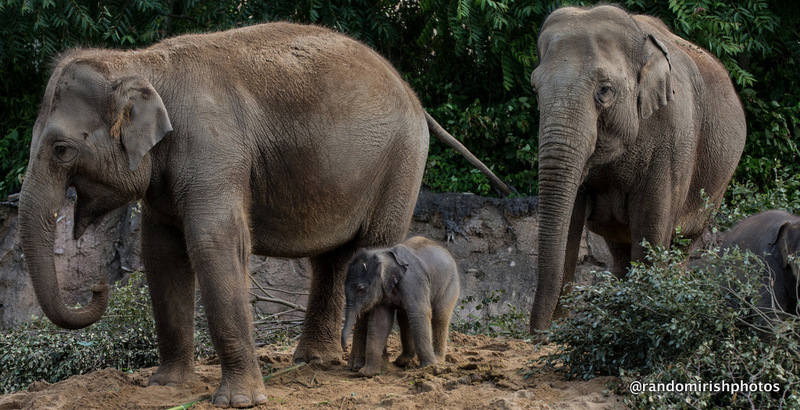 According to Dublin Zoo director Leo Oosterweghel, the other Asian elephant females in the herd at the zoo kneeled around this as-yet-un-named baby’s mother while she was giving birth. He told the Irish Times: ‘I live in the zoo and I could hear them about 400 metres away. ‘When the calf was born, they gave him a little nudge and he stood up after seven minutes. 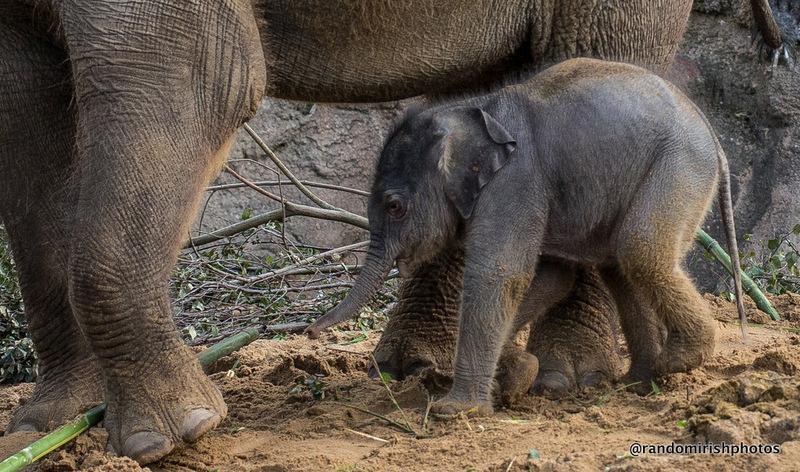 Dublin Lord Mayor Christy Burke has named October the Month of the Elephant in honour of the little new arrivals, who can be viewed on the zoo’s webcam. Naming of the new calf is down to members of the public, who have been invited to send their suggestions to the Natural Confectionary Company – which sponsors the habitat where they live in the zoo. Despite the obvious ‘ah’ factor here though, there are a few ethical issues to consider. Asian elephants are an endangered species. According to National Geographic, these elephants have been domesticated for centuries and ‘employed to move heavy objects, such as felled trees, to carry humans on their backs, and even to wage war’. But their numbers are dwindling and are now listed as an endangered species by the Indian Government as well being included on the International Union for the Conservation of Nature (IUCN) Red List. Helping with their endangerment is the growth in the human population and resulting encroachment into their natural habitat, a reduction in areas exclusively reserved for them in the wild, poaching and an increase in railway-related accidents since the Indian government increased the size, speed and range of their railways. According to the World Wildlife Fund, the population of Asian elephants has dropped from 100,000 at the start of the 20th century by about 50% over the last 60-75 years. The WWF also points out that about 20% of the world’s human population lives in or around the areas where Asian elephants live in the wild. 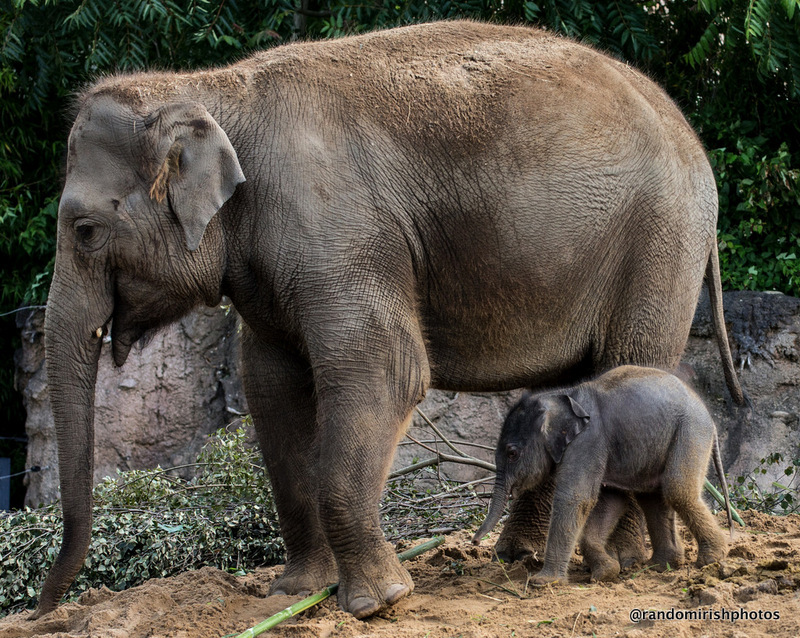 One of the main solutions to arrest the Asian elephant population decline are what are known as ‘Elephant Corridors’, and Dublin Zoo funds a number of these. 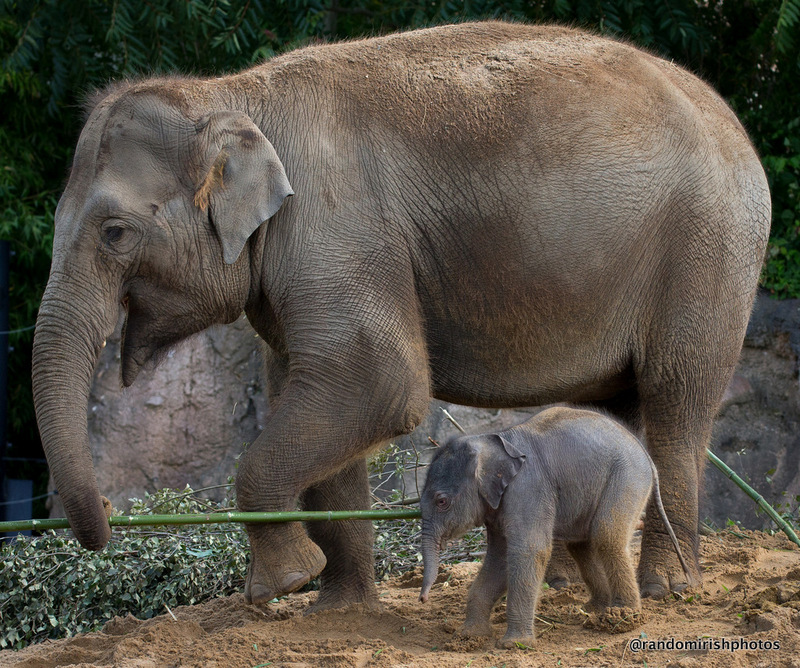 According to its website, Dublin Zoo has been supporting Asian elephant conservation projects since 2008. Then, it joined forces with the (Asian) Elephant Family charity and in 2010, along with them and the World Wildlife Trust of India, they funded research into establishing corridors in north east India. The Dublin Zoo website states: ‘After preliminary studies, the Kalapahr-Daigurung corridor was selected for further investigation as it offered the best prospects of establishing a viable corridor and elephants regularly pass through this area. ‘This corridor would connect the Kalioni Reserve Forest and the Kaziranga National Park (biodiversity hotspot and World Heritage Site). ‘Local people have been surveyed about their use of the corridor, the local planning authorities have been notified of its presence and signage has been erected advising people to minimise their presence here and to take precautions if passing through. ‘Further ecological studies need to be conducted before the corridor is procured’. As well as working to set up these corridors, Dublin Zoo – recently voted one of the best in Europe – is also very active in raising awareness of their plight. It, for example, helps Elephant Family run the Elephant Parade Classroom Challenge in Ireland, an international fund-raising art competition. But the whole issue of elephants in captivity is not without its critics. Peta, for example, is currently running a campaign to ‘Get Elephants Out of Zoos’. And there is an emerging raft of studies which make observations about the ethics of keeping elephants in Zoos. One of these is the ‘Compromised survivorship, fecundity and population persistence in zoo elephants’ research paper. ‘Keeping elephants in zoos is extremely costly, yet does not yield self-sustaining populations. In Europe, which holds c. half the global zoo elephant population, a long-term decline of c.10% per year is expected in both species, if reliant on zoo-bred animals under historically prevailing conditions. ‘Fitness in zoos is compromised in several ways. ‘Compared with protected in situ populations (Burmese working Asians; Kenyan free-living Africans), zoo elephants show premature reproductive senescence and — despite improving adult survivorship for Africans — die earlier in adulthood than expected. 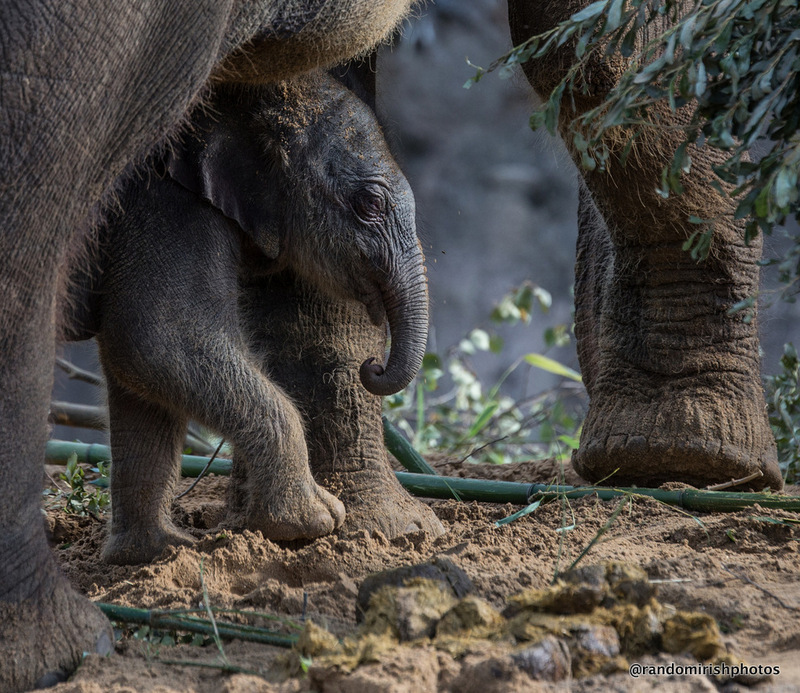 ‘In Asian elephants, infant survivorship in zoos is also greatly reduced relative to Burmese elephants, and furthermore, zoo-born animals die earlier in adulthood than wild-caught conspecifics kept in zoos, via effects ‘programmed’ peri-natally. In this species, being transferred between zoos also increases mortality rates. ‘Both survival and fecundity would need to improve to attain self-sustaining zoo populations. Our findings demonstrate deficits in zoo elephant management, particularly for Asians, and implicate stress and obesity as likely problems. ‘The welfare implications of captivity, and the relative cost and effectiveness of ex versus in situ conservation, determine the value of captive breeding for any given species. ‘Several species apparently thrive in zoo conditions and captive breeding has saved some from extinction. ‘However, ex situ conservation is typically costlier than in situ programs, captive-bred individuals often fare poorly in the wild and many species show reproductive failure and elevated mortality in captivity, raising ethical concerns particularly when stress is implicated. ‘Asian and African elephants (who can live up to about 60 years in the wild, according to National Geographic) exemplify such problems. ‘The zoo elephant populations of North America are non-self-sustaining, and require importation from range countries – a practice criticized by the IUCN. ‘Both species are naturally wide-ranging and socially complex, and the large disparities between in situ and zoo environments have elicited concerns about elephant welfare in captivity. ‘Furthermore, zoo elephants have troubling rates of lameness, infertility, infanticide, tuberculosis and Herpes. 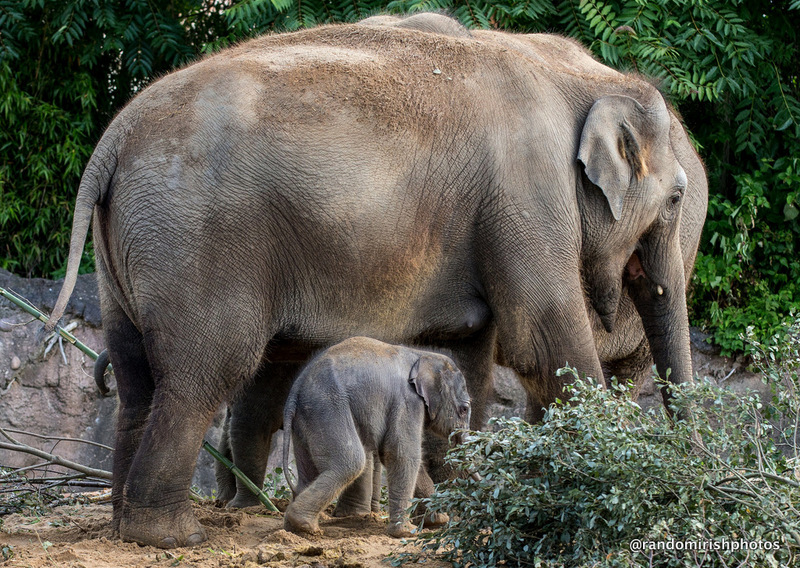 ‘Nevertheless many zoos argue that their elephants are vital for conservation, and that their viability is improving. Why all of the above? It’s sparked in part by a simple one-worded comment someone left on Random Irish Photos’ Instagram account.
. . . the streets of Dublin as you wouldn’t normally see them. Shot last Saturday at around 5am, there is a small window between the last main lot of stragglers heading home after a night out and the arrival of cleaners, shop keepers and a gradual increase in traffic.